What happens in Vegas might stay in Vegas, but with a skirt like Pippa you’ll definitely have people talking! Embrace that bold print and flawless retro shape this season, and take a gamble on Pippa; she’s the statement skirt that’s worth every penny! Love the look? 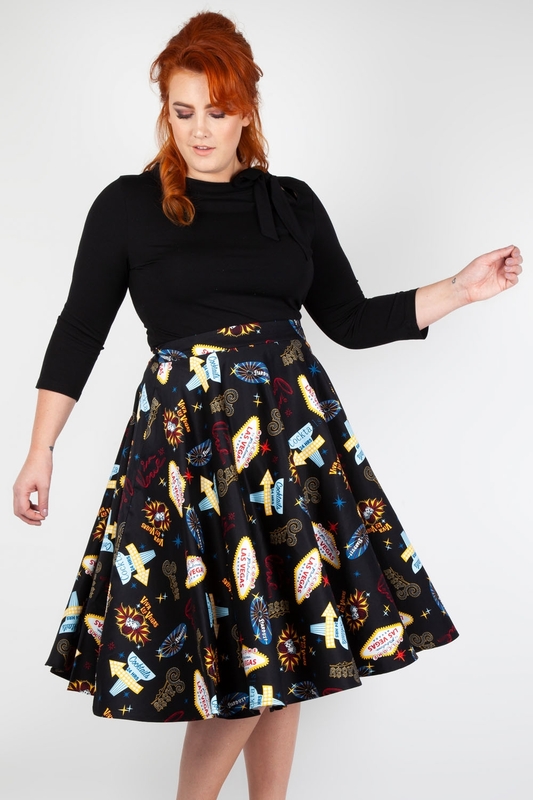 Check out Lucy for the same print on a fabulous dress- soon available in Vixen Curve!